Thank you Kansas City for a great show! Such a great St. Louis show! I'm so grateful for the awards! 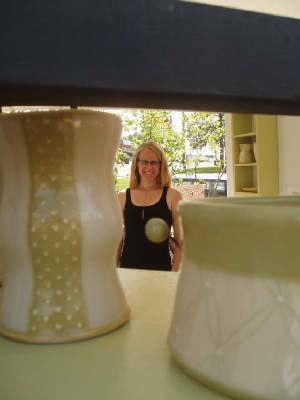 Ranked in the top 10% of the Ceramics Category in 2008. A great show in Webster Groves, MO. Always held Mother's Day Weekend at my favorite St. Louis Sculpture Park! A great Indie Craft Fair with lots of funky finds! A great holiday show back home in Minnesota. A great little show at my favorite St. Louis Nursery! What a great way to end the outdoor show season! A great and well known functional pottery show.